Submitted by admin on 05/22/2016 - 17:39. 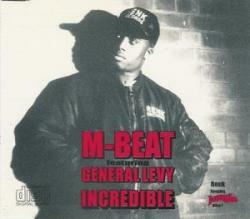 'Incredible' represents one of the very first breakthrough tunes for the then underground drum 'n' bass scene in the UK. The release was a big summer hit in 1994, reaching #8 in the UK charts in September. During this period the d 'n' b scene was also getting increasing coverage in the mass media, much of it being sensational and negative, depicting the scene as little more than drugs 'n' guns.